Here's the first top ready to piece. That's assuming that I don't change my mind about sashing. I like it more the more I work on it, Lesley! I like it very much. It's colorful and interesting to look at. 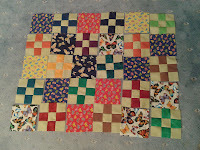 Bilbo's done some lovely baby mats, and so I took my inspiration from her use of bright and interesting fabrics. Oh, this is wonderful! What did you decide....sashes or no? No sashing on this one in the end, Reenie. 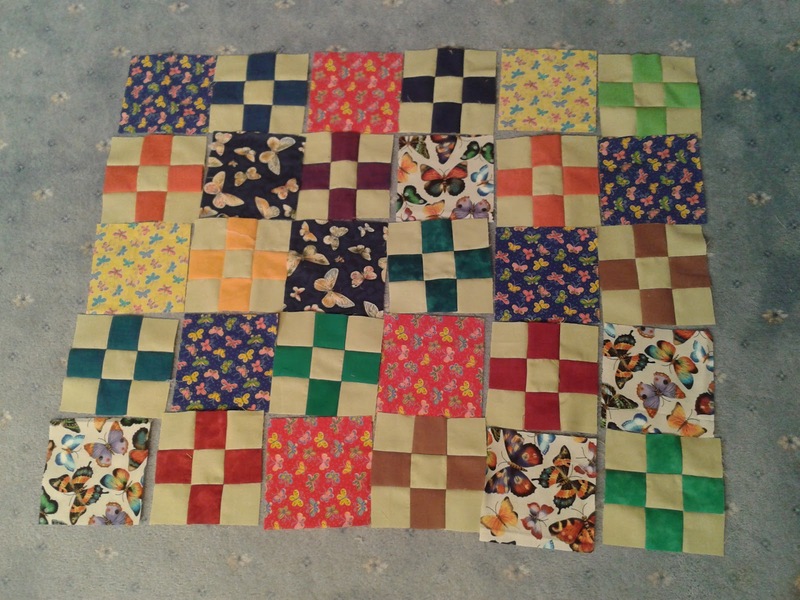 I liked the effect very much, but when I showed the layout with the sashing to my mum & colleague Rita, they both preferred it without, so that swung it - especially give the extra time it would have taken.